Hi everyone! This is Tina from The Scrappin Rabbit blog and I have a project to share for the new challenge over on the Stamp Anniething FB page. 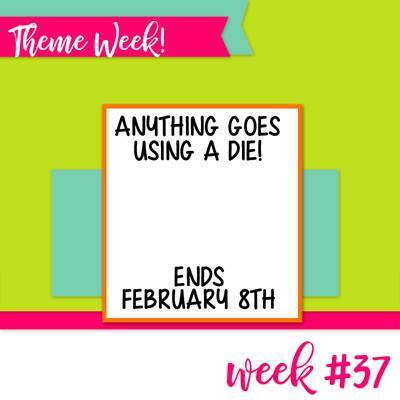 The new theme is "Anything Goes Using A Die!" First I used alcohol inks to create an ocean background. Next, I stamp and embossed my favorite Stamp Anniething Audrina Make A Splash stamp. I colored her with Copics and although it is hard to tell I added lots of sparkle to the pearls in her hair. 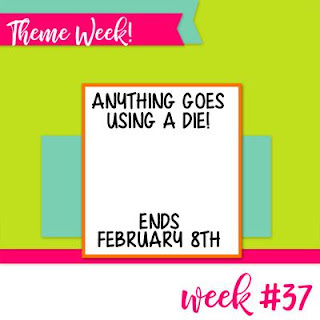 Then I cut out the Thanks Die three times. Once in purple and teal glitter card stock and a third time with black card stock. This made it nice and sturdy and very sparkly! Finally I added a few aqua and teal colored sequins. She is just too pretty!! Awesome Job!! le fond de carte est superbement réalisé et la colorisation des cheveux trop bien réussie!